Homemade puddings are a favorite at our house. We love them and so do many of you. I have received so many emails and comments from readers who have tried homemade pudding for the first time using my recipe and love it. Most of you that have tried it, say you will never go back to the box kind again. I love hearing that because homemade pudding is easy to make and it really is so much better tasting than the stuff from the box. I have been asked quite a few times if my homemade pudding recipes would work in a dairy free version. In the past I always had to say that I was not sure how it would work, because I had never tried it. Well, since my daughter and I are going dairy free this month, I knew it would be the perfect time to give dairy free homemade pudding a try. 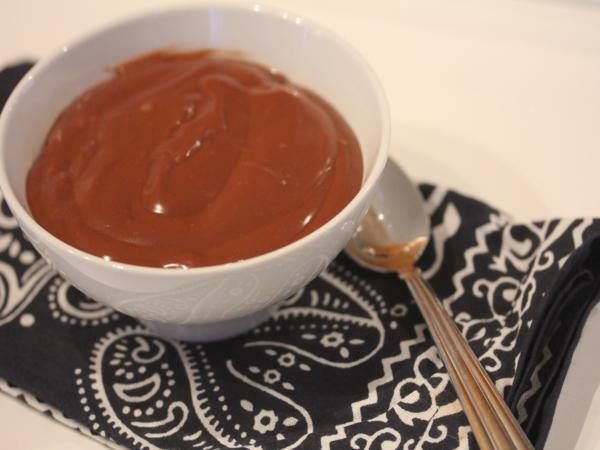 I decided to start by trying a dairy free version of my homemade chocolate pudding. After making this a few times over the last couple of weeks I have decided that coconut milk is my favorite dairy alternative to use in homemade pudding. And for chocolate pudding, the chocolate coconut milk is even better. The chocolate coconut milk gives it an even richer chocolate taste that is delicious. I think homemade pudding would work with most of the dairy free alternatives, but because some of them are not as thick as milk, or have a distinct taste, coconut milk works the best. Coconut milk is relatively thick and the flavor works well for a dessert. If you or someone you know is dairy free, this recipe is a must try. It really is that good! In a saucepan, stir together sugar, cocoa, cornstarch and salt. Place over medium heat, and stir in coconut milk. Bring to a boil, and cook, stirring constantly, until mixture thickens. Remove from heat, and stir in coconut oil, chocolate chips, and vanilla. Stir until chocolate chips have melted. Serve warm, or chill in refrigerator until serving. If not serving right away place a piece of plastic wrap over pudding laying directly on pudding. This will keep a film from forming on the top. Yes, I did use the kind from the carton or box, not the canned. I just added that to the recipe. 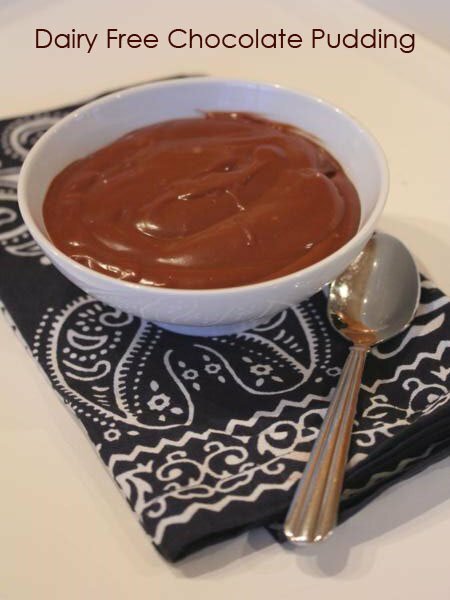 I have been looking for a dairy free chocolate pudding recipe, and I’m so happy I found this. It is so yummy! I recently made your blueberry custard with coconut milk and coconut oil and it turned out really well, too. Thanks for the recipes! I am glad you enjoyed it. I made it last night again for my family and we ate almost all of it. Thanks for taking the time to let me know. Will this work in a pie crust? Thanks. Let’s see if I can do this right this time:. For the chocolate pudding, will this recipe work in a pie shell. Thanks! It is not a super thick pudding, so for a pie I think it would work, but I would cut back on the liquid slightly so that it will be a little thicker. Works great with chocolate almond milk as well. I bought the 4-cup shelf-stable carton, and topped off to 5-1/4 cups with some coconut milk. FWIW, my pudding seemed plenty thick for a pie, also (cooking it long and slow thickened it nicely). Thanks! I am glad that worked for you. Thanks for letting us know. My daughter loves the dairy free pudding, and I love to hear that others are enjoying it as well.